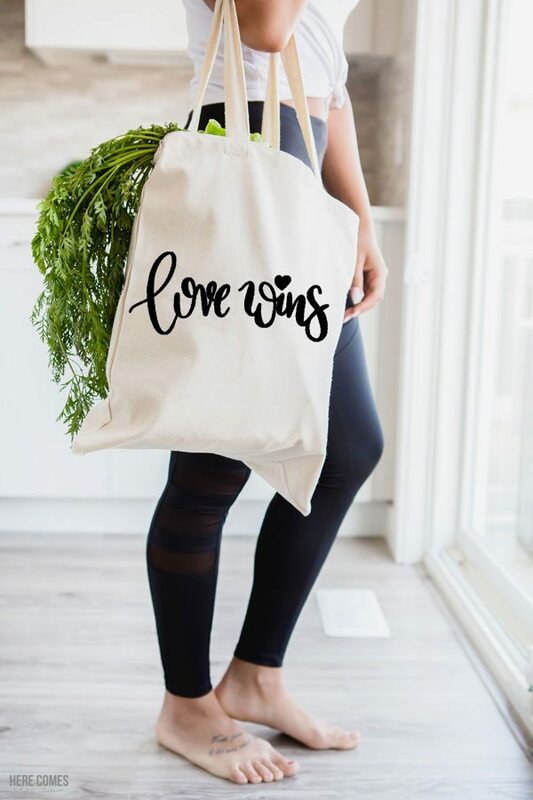 Use this Love Wins cut file anywhere you want to display this important message. The other day, a friend of mine shared something horrific on Facebook. Her child had been bullied on the bus home from school and earlier in the week, a student at the same school as her kid had committed suicide after being bullied about the same issue. It has got to stop, people. And it has to stop NOW. When I was a kid, it was the WORST being bullied. I remember a girl who was supposed to be my friend calling me out in front of everyone by yelling “shut up you shrimp from the sea”. But being bullied because I was short is nothing compared to what is going on these days. I fear for my children and the hatred that they will encounter as they go through life. I fear that they will not be strong enough to stand up to the bullies of the world. In our house, we teach love no matter what. No matter what. 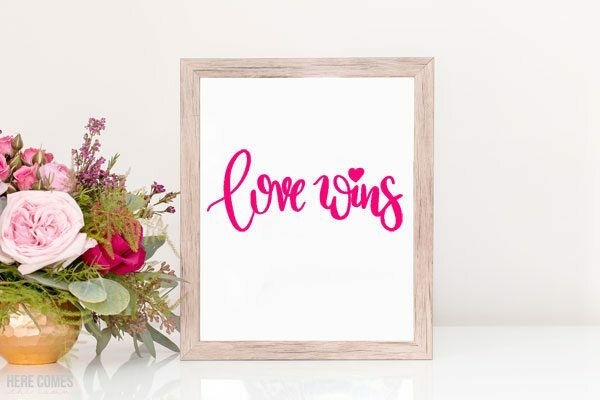 Which is why I created this Love Wins cut file. Put it on a shirt, a mug, a bag, or a clipboard. Just get the message out there. Please note that this file is for personal use only. You may not sell or redistribute it. NOT SURE HOW TO USE CUT FILES? 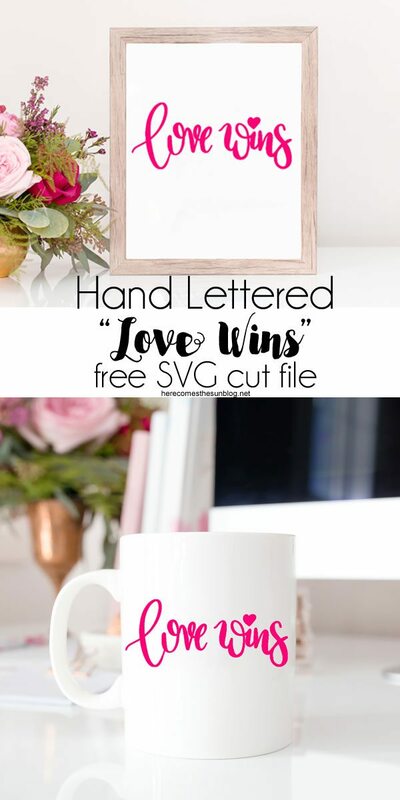 Cut it out using a Silhouette or Cricut machine. Note that you must have Silhouette Designer Edition to open SVG files. 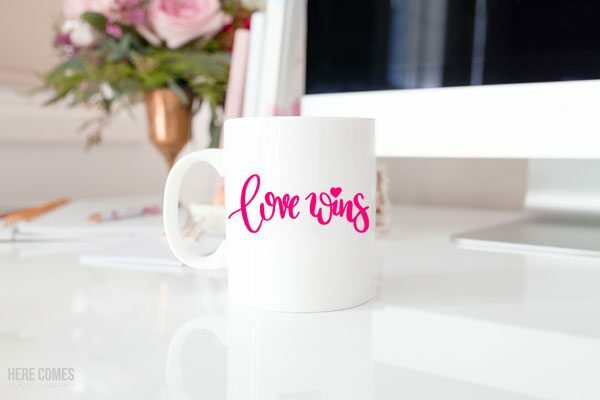 Use vinyl and place onto mugs, clipboards, or use the vinyl to make signs. Cut out using cardstock and adhere to another piece of cardstock to make a card. Our children deserve a better world to grow up in. Our children deserve a world where love wins.